Copyright resides with Pete Simpkin, no reproduction without permission. 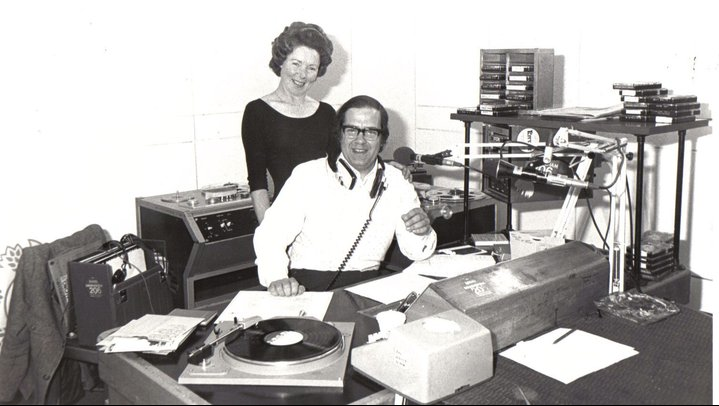 This audio slideshow of 1970s and ’80s photographs, was produced by Pete Simpkin, and used when he gave talks about the work of Radio Birmingham ‘Heart of the Nation’. It dates from the time when Pete presented the Breakfast programme, and illustrates the daily routine of the Station, which was based at BBC Pebble Mill. Fascinating to see this slideshow about “Heart of the Nation” Pete. Thanks so much for posting it. When I was freelancing I sold a few interviews to HotN when David Lloyd was the presenter. If I recall correctly the fee was five pounds – which seemed quite generous at the time! Hello all – really enjoyed that slideshow Pete – so amazing how familiar it and, wonderfully EVERYONE still is. When did you take over presenting Heart Of The Nation from the legendary David Lloyd? I was the runner from 1977 till I left college in 1981 – I’m proud of the fact I took over from Alex Lester who was the year above me on the same course at Brum Poly. Phil Morgan! It’s great to hear from you Would be great to get in touch – I started out at Brum Club too, and I was in awe of you guys (Paul, Granville, Bill Buckley et al) I remember you used to do a show on Warwick Uni radio over night and get into Radio Brum at some early hour of the morning.. Studio 2 listening to the latest singles in the cupboard remember City Boy? Wow brilliant times! I was 18, just finishing school, and one of my teachers (god bless him) got me into Brum Club via a call to Roger Thomas after I’d told him I was nuts about working for the BBC.